The municipalities are far from solar power. Bills are burdened by the rulers and the authorities. 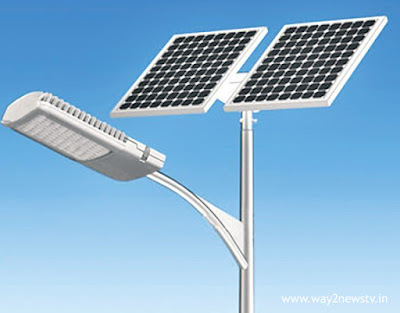 The central government has suggested setting up solar power plants in all municipalities in the district. The district authorities have also sent proposals to this extent. However, units were set up only in Vizianagaram and Bobbili municipalities. The rest of the Nellimarla, paloor and Parvatipuram municipalities are limited to the proposals for setting up units. The criticism is that the neglect of the authorities in the scope of the space needed for the creation of units is being shattered. The Center has suggested cutting the burden of power bills. 60% of the funds will be provided to the units and the remaining 40% will be funded by municipalities. Vizianagaram and Bobbili municipalities have set up solar power plants and have now reduced the bills by 30 percent. In the remaining municipalities,these solar power plants are not initiated by governors or officials. The proposal is to provide electricity for less than 25 years to provide lease-based solar power plants. 25 years later, these solar power plants should be handed over to municipalities by NDC officials on the basis of a 25-year lease with Rs.5 crore in Municipal Corporation Venkapeta has been scrutinized at the scene. However, the Collector Vivek Yadav did not recognize the site as a pond. Then the gardening pump was moved to the pump house. There are estimates that the Department officials will have to set up a special electrical feeder for the construction of the plant and spend Rs 50 lakh for this. If the Solar Unit is set up in Solar, the bill will cost Rs.1.06 lakh per month, Rs 1,000 per mosquito office, Rs 2.20 lakh from the pump house and Rs 45,000 bills for pilot projects. Solar vault in the eclipper area at the office of Nellimar's Tahisildar Deut was preparing proposals for setting up the plant. Approximately Rs 30 lakhs will be spent. Even here the step did not go. Electricity bill comes in all categories of Rs.3.20 lakhs. The power department officials say that if the Solar Power Center is set up, 30% of the bill will be saved.